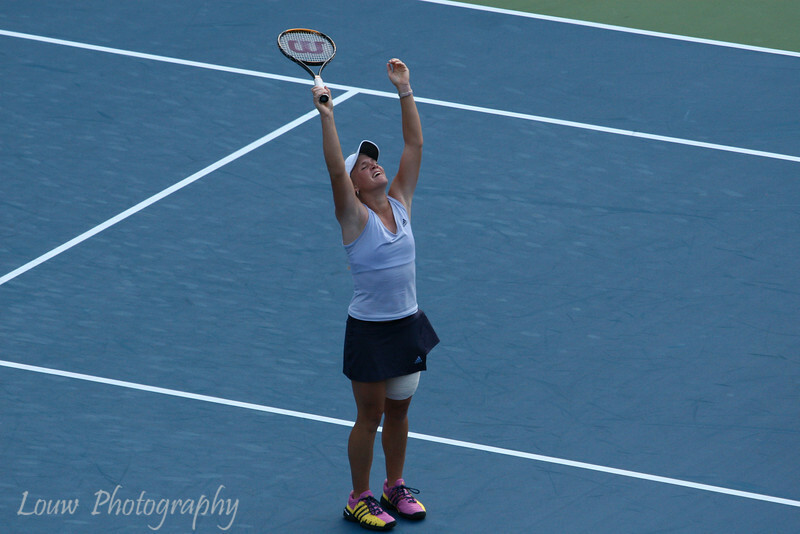 Melanie Oudin reacts after winning her match against Maria Sharapova. 2009 U.S. Open Round 3. September 5, 2009.